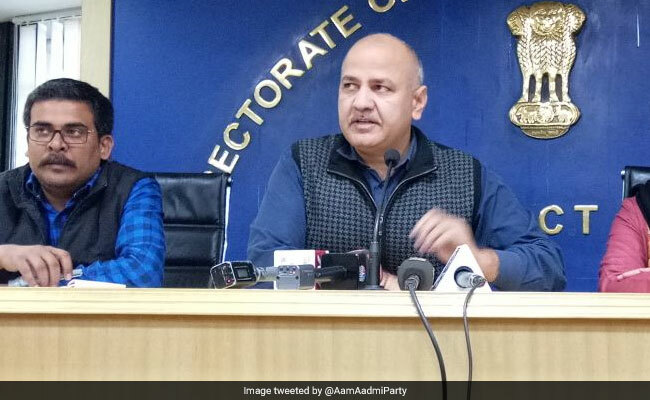 Officials of the education department will run the campaign in "mission mode" for three months from April to June this year, Manish Sisodia said. New Delhi: The Delhi government on Monday announced the launch of "Mission Buniyaad" for improving learning skills of children studying in state and municipal-run schools. The announcement was made by Deputy Chief Minister Manish Sisodia in New Delhi, days after the National Achievement Survey (NAS) showed that the entire country, including Delhi, was facing a learning crisis in schools. Under the programme which will run from April to June for Class 3 to 5 in Municipal Corporation of Delhi (MCD) schools and for Class 6 to 8 in government's schools, children will undergo a reading level assessment based on which they will be enrolled in specialised "Mission Buniyaad" classes. "For children who are not able to read, I request all parents to cancel their vacation plans during summer holidays and send their children to school for remedial classes. I appeal to parents of children to support the Delhi government and MCDs in this campaign in the interest of their children's future," Mr Sisodia said in a press conference. Officials of the education department will run the campaign in "mission mode" for three months from April to June this year, Mr Sisodia said. Manish Sisodia, who also holds the education portfolio, said that the programme is being designed on the lines of Delhi government's 'Chunauti scheme', after two rounds of meetings with MCDs, the Delhi Cantonment Board and the North Delhi Municipal Council. "The NAS survey demonstrates that close to half of all children in our schools are not able to read their grade level textbooks. In the secondary schools run by the Delhi government, various programmes we initiated have improved reading ability by about 20%. "However, children in primary schools that are under the MCD are not able to read and thereafter when they study in secondary schools they find it difficult to cope up with the advanced levels," he said. The deputy chief minister said it was in the interest of the children of Delhi that the efforts made by the government be extended to MCD schools as well. "The municipal bodies that run primary schools in the city will raise a cadre of teachers who will drive the program, in a manner similar to the Mentor Teacher Program run in Delhi government schools. One teacher will take care of five schools and will train teachers of these five schools on enhancing readability of children," he said.